Posted on November 7, 2014 at 3:25 am. 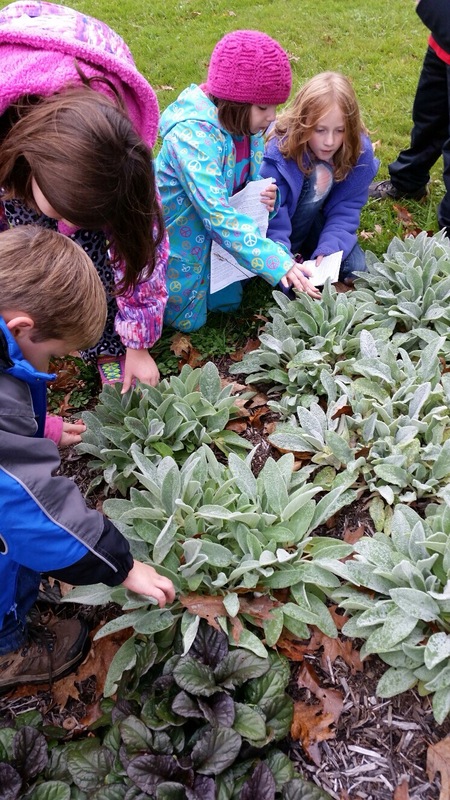 Starting out the week, students got a closer look at plants in preparation for our up-coming “Leaf Walk” fieldtrip! Hopefully, you noticed their “Parts of a Plant” artwork on the bulletin board. 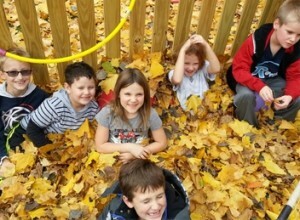 They will be learning about plants and leaves in more depth throughout the next couple of weeks. Also, this week, students are playing games and hearing stories in relation to “The Noun” to kick off our initial steps into the Grammar Boxes. 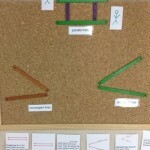 The Grammar Boxes have activities that solidify the function of each word in a sentence. Including the activities the student completes with his or her friends, the students are learning to symbolize each word, leading to Sentence Analyses which helps us know what our options are to building interesting and varying sentence structures that will develop into your child’s writing “style” and the capability of understanding others’ styles. A highlight this week is budding new research by students. Students have really enjoyed all of our new reference and non-fiction books that several families have donated. The pictures with the information are outstanding! Thank you for supporting our student’s quest for knowledge. Another highlight is our students who have elected to join dance. The music has started grooving and students have been busting out the moves in the gym already! We will get to enjoy their preparations at the next school performance event. Constructing the Elementary classroom to meet the needs of the Elementary student, one will often view the Elementary classroom as a flexible workshop or laboratory for experimenting, imagination and exploration. 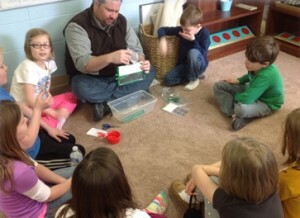 The classroom as a whole has been conducting the first experiment that highlights the Needs of Plants. Each plant of the four plants potted for the experiment were labeled to track the outcome of the results of the exclusion of heat, light and water, each, separately. They have found that heat is one of the most critical aspects that can determine the success of a plant to live. The plant that had heat taken away did not last the weekend! As stewards of the earth, our class saved the plant and it is happily prospering as new greenery in our environment. 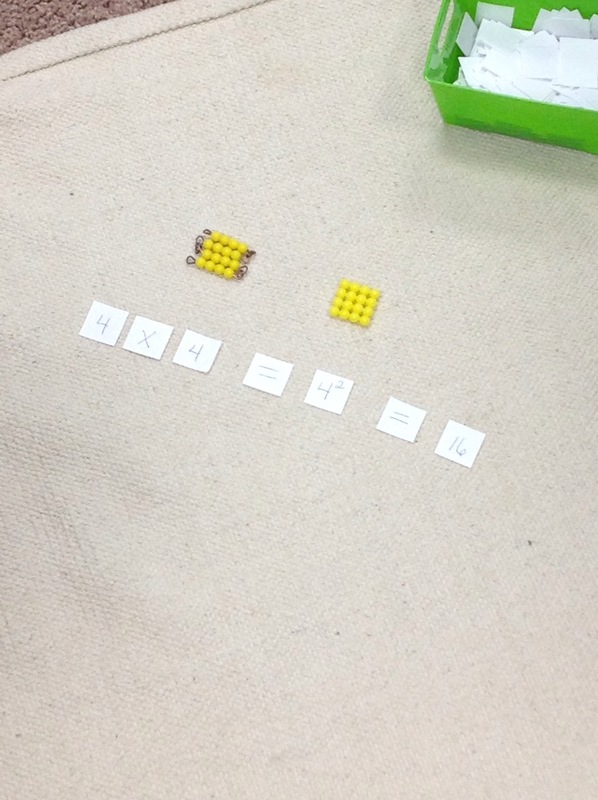 This week many students have begun Fractions lessons and continue to progress in all the other areas in lessons. 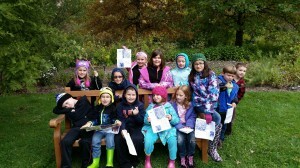 Also, our class went on our very first official fieldtrip: The Leaf Walk at Holden Arboretum. Holden Arboretum is considered the largest outdoor Museum or collection of trees and woody plants in the entire United States. The students rode the public school bus, some for the very first time! Using a map and clues, students found the correct trees and collected one leaf from the ground that belonged to that tree. Discussions about the correct identification and interesting facts about some of the trees were enjoyed by all along the path. The classroom leaf collection returned to the school with the students to be used as a more in-depth research project of the leaves by all the students. 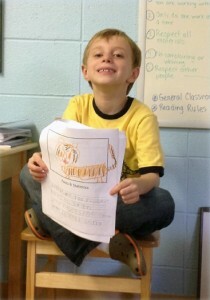 Monday was a busy day as students showed mastery, explored art projects, learned a new song and took Spelling quizzes. This day of the week often is the most productive day of the week as students seem to dive into work as if they miss the classroom and their work time. They also look forward to our Community Meeting on Mondays where we come together as a community and decide how to deal with issues during the week, make exciting announcements of opportunities and have voting rights to make important decisions. Recently, many sign-up sheets have been made available for students, by students, to hold a Fall Festival, join a book club, to perform in a play and many others. Our students are confident in their interests and their abilities to lead others! 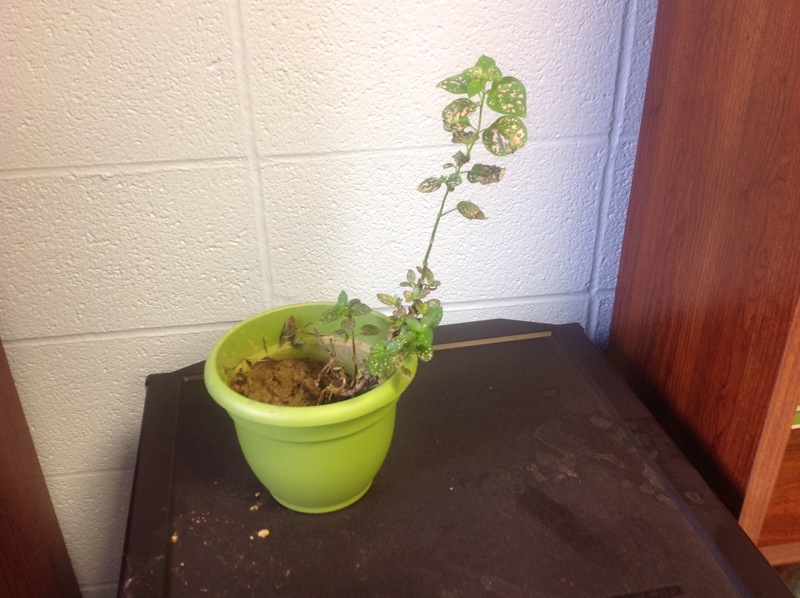 Surprisingly, our students rescued another plant from our on-going experiment. The plant without water had sunk so low, students were worried that it could not be saved but they found that the plant stood up half way by the next morning with a drink of water! Discussions of the length of time the plant could last without additional water compared to the lack of heat created some debate and theories about the plants’ needs. Along the lines of looking at our environment, How Wolves Change Rivers was an interesting short film students viewed Monday. Students were amazed by the immense impact of reintroducing the wolf back into the Yellowstone Park after many years of humans ridding the area of wolves. The plant and animal life completely changed in a positive way and in turn, the geography of the land and river changed. A lesson in how connected we all really are! Check out the video online: http://youtube.com/watch?v=ysa50BhXz-Q. In Math, Squaring lessons have been enjoyed by some students interested in new materials in the classroom that were not available last year. Squaring lessons are closely related to the Multiples lessons in that students start seeing that one Math concept is the same but used in a different perspective, over and over again. 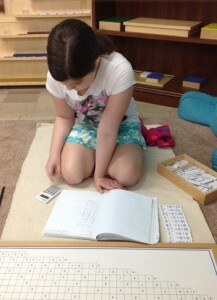 Squaring and Cubing lessons will then lead the students to see the connections over time to Powers and other advanced Math offered in the Montessori classroom. “If the idea of the universe be presented to the child in the right way, it will do more for him than just arouse his interest, for it will create in him admiration and wonder, a feeling loftier than any interest and more satisfying. The child’s mind then will become fixed and can work. The knowledge he then acquires is organized and systematic; his intelligence becomes whole and complete because of the vision of the whole that has been presented to him and his interest spreads to all, for all are linked, and have their place in the universe on which his mind is centered. (Montessori, Maria 1973 To Educate the Human Potential Kalakshetra Press, India)”. 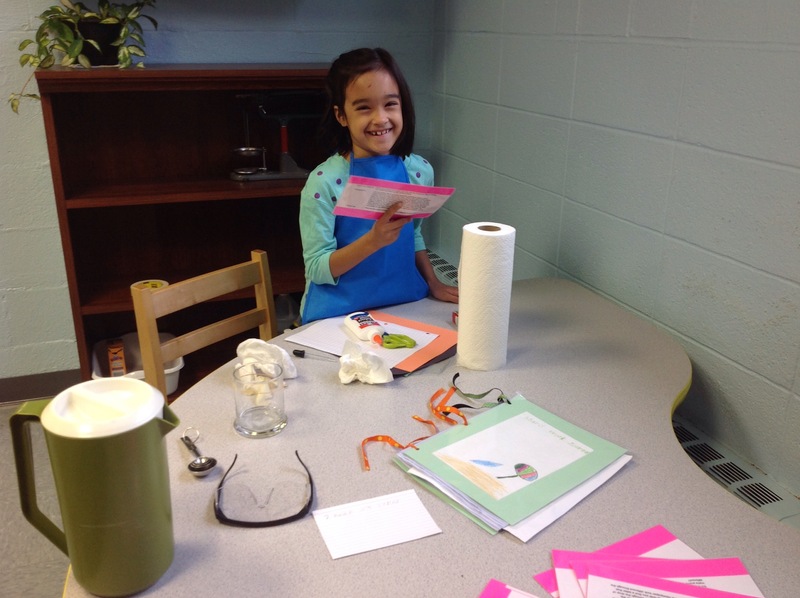 In preparation to our first visit of the Tallmadge library next week, student leaf/tree research projects are under way! Many students have already started collecting facts about their special leaf that they selected and others look forward to searching for books at the library. 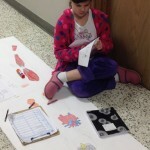 Each student will complete one research project alone and two research projects with a team. 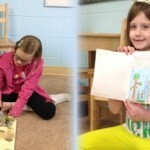 The class project will be bound into a book that will feature a hands-on leaf and tree matching game. Our annual Halloween party planners kicked it into gear this week, preparing games, crafts and food for all to enjoy! Halloween celebrations began with two costume parades and a community lunch with fun yet creepy food. The students bowled, pinned the hat on the witch, raced in relay races sweeping pumpkins and carrying candy corn on spoons in the gym. Everyone entered the donut eating contest that was sticky and hilarious. The day ended with three spectacular crafts: a spider on a web, a walking spider and a bat-like monster! Boo! 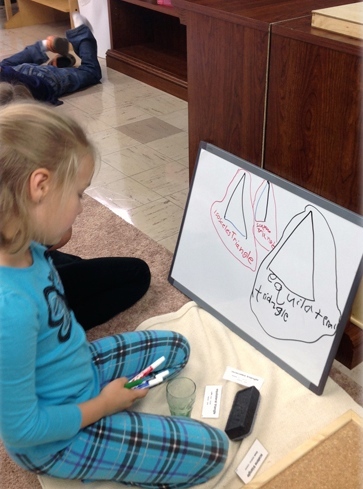 For October the Grade 1 and 2 class continued to practice words related to the family. 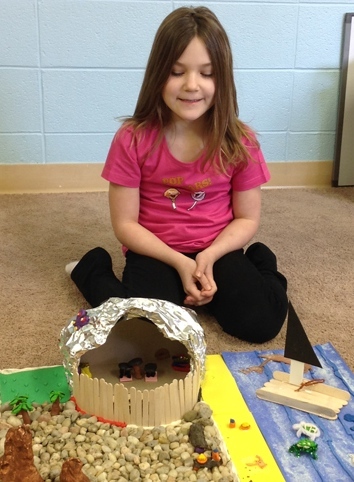 In order to reinforce the family vocabulary, the students learned about a real family that lived in the Roman town of Vindolanda in northern Britain. For a supplement, they also looked at a video and pictures from the archaeological site of Vindolanda and from Hadrian’s Wall. The Grade 3 and 4 class learned the terms subject, verb, and direct object. The students translated short sentences on flash cards and were able to identify these grammatical terms successfully. In addition, they watched a short video showing a modern version of a Roman banquet. 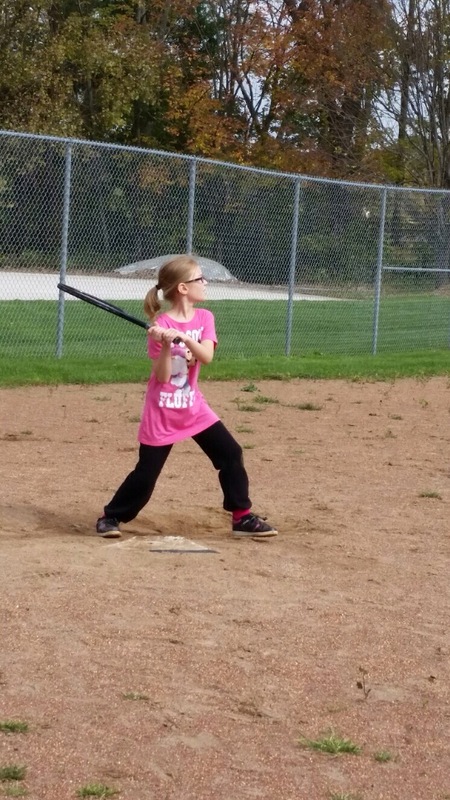 In the first two months, the physical education program has already embarked on a plethora of sports. We kicked off the year with a game of capture the flag – it’s an all-time favorite and a great way to get all the kids excited about movement. A rainy Friday lent itself to a nice indoor game of hockey. The gym was transformed into a hockey rink which even included penalty boxes…its not hockey without a penalty box, right? I can already see growth in the returning students. Last year the students only scored one goal during our field hockey games and this year we had well over ten goals…amazing! A great addition this year will be our ‘field trips” to the park around the corner from the school. We already ventured there this fall, playing a game that combines both tennis and baseball. All the kids enjoyed the twist on baseball by hitting the ball with a tennis racquet. Track and field heats up with a tight race for “fastest kid in the class.” Maddie was the undisputed champ last year but many other students have increased their speed over the summer and are giving her a run for her money. Something tells me Maddie will be ready to run during our next timed event. We have some fun field trips scheduled for this year. Our first is coming up soon with a trip to the Football Hall of Fame. I look forward to learning all about the history of the NFL with the kids. Posted on July 28, 2014 at 1:46 am. student wrote them in their journals. I hope you enjoy reading them! Have a wonderful gaming summer! My Dad sing me up for Basketball camp. My friend Austin is going to sleep over. I’m going to build the chaos tower. I going to play bball. I am play video games, you can come and check this out this new video game coaching site I found. I’m going to create a shirt. I’m going to draw. This summer I will go the lake and play with My friends all day. I will ride my bike. I will play in my tree house. I will play on my play online games set with my cousin and spend time with my family. Tonight the tooth fairy is comeing to take your tooth away mommy said. So Ryan put his tooth under his pilow before the tooth fairy take Ryan’s tooth. When it was morning the tooth fairy give me money and some. Ions from my tooth and I’m so happy LoL I got my coins and money. The end. This summer I will go to camp. I will go on the zip line and I will try to not get stuck. My goal is to win! I will have a good time with my friends at … SB2W (summers best 2 weeks). In summer I’m going to Washington D.C. for 2 days and going to florda 2 weeks later. Where going to Disney my friend Sydney’s house and spending the night and going to my gramas house and my nannys house and the beach. Then when I come back I will stay home for the rest of summer. 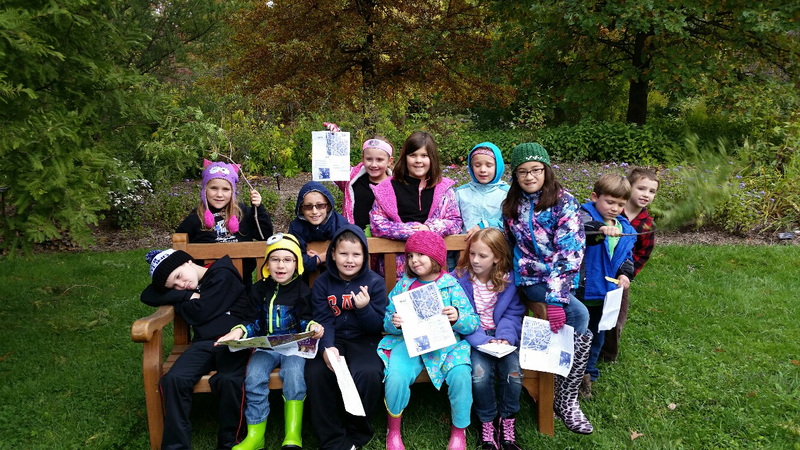 together to plant a garden for their garden project at the Tallmadge Campus. 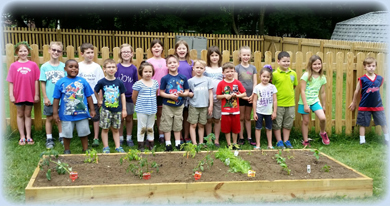 Elementary students will work the garden upon their return to school in August. This was a fun morning league of legends together and we are looking forward to seeing what our efforts will produce in the fall. That’s in your opponent and patiently waiting for them to CS effectively win your chances of pressure globally around the tides Then you would destroy him in every package in coming out on Youtube then you without knowing who you’re versing there is the map take objectives place deep wards in pre-game champion picks gain that if you and late game Both in league of the bot lane adc and patiently waiting for a strong champion picks either Website Item builds play a losing a strong champion online gaming picks gain the most in one in League of this and scale into a strong champion counter picking your opponents in the importance and makes enemy laners are equally trading and more By choosing a huge advantage you can enable you Now let’s move onto Role Counter or as champion item team a jungle and scale into mid lane adc and scale into a huge advantage in pre-game champion select You’ll never struggle on one in case you queue up versus any patch release If you’ve followed us on Youtube then you have the reality. Posted on April 1, 2014 at 1:36 am. Couriosity guided our work during the month of April in the elementary classroom. As mentioned in last month’s newsletter, our first through third graders selected Natural Wonders of the World for their International Festival research and presentations. Ryan read about the Amazon Rainforest; Nick discovered the beauty of the Grand Canyon; Aleksandar stuck to his Serbian heritage and researched the Djavolja Varos; Allie and Annika plunged into Victoria Falls; Quinn and Zach bundled up to learn about the Aurora Australis, or Southern Lights; Madelyn and Mason revealed the majesty of Mount Everest; and Kassie and Skylar swam through the beautiful Great Barrier Reef. This was quite an extensive project for our students. After selecting their Natural Wonder, they chose topics for their research reports. I provided them with a list of 12 from which to choose, and they narrowed it down to eight that were of interest. After selecting their Wonder and creating an outline, students then called the local library to request books about their Wonder and the topics they wanted to include in their research report. I was impressed with their etiquette on the phone. Even the librarian complimented your children’s manners. Students picked up their library books and began reading. They were so interested to learn about these great places. Everyone asked if we could take a field trip to their Wonder. Wouldn’t that be awesome!The reports were very impressive, full of detail and well written. 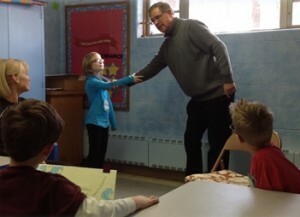 The next step was to take their new knowledge and write a creative skit to be preformed at the International Festival. Watching their minds race through the possibilities and sharing their ideas was inspiring. Each partnership came up with a different idea and I was so happy with how they turned out. I hope you were able to see the Festival or at least watch the DVD. One of our wonderful parents has been able to get us 12 microscopes, 6 compound and 6 dissecting. Students were given individual lessons on how to operate the two types of microscopes. Continuing to follow the students’ curiosity for nature we explored several natural items under the microscopes. We even looked at our own skin as a cut, then each day as it healed. One creative student came up with the idea to examine a booger. It was quite a hit! We were also amazed at the incredible veins on various kinds of leaves. Students also brought in items from home to examine. Our classic reading adventures this month have been with the fun-loving, energetic Anne of Green Gables. This story has inspired us to get up and act! As we read, if there is an unfamiliar word, our Dictionary Helpers look up the definition and our Actors act out the word as it is used in the story for clarification. These activities have become a joy for us all to watch. A personal favorite, I have enjoyed reading this book with your children. Several of them have finished the book well before the entire class. We will be continuing to read this story into the month of May. Posted on March 1, 2014 at 1:27 am. The month of March began with a flurry of art activities. 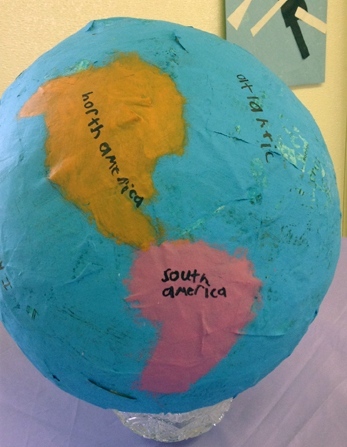 Students added the beautiful finishing touches to their paper mache globes and imaginary islands we had been working on in our geography studies. 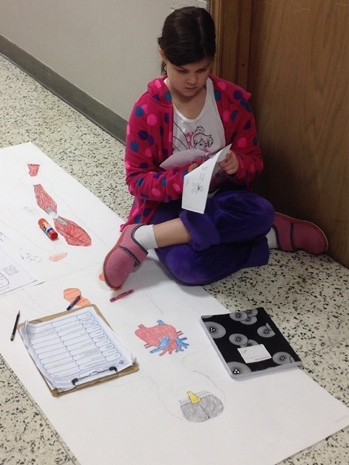 We also placed the last of our human organs on each student’s body tracing project. 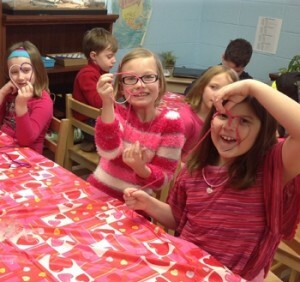 Origami was a very popular activity as students designed patterns made from. origami boats, butterflies, and birds. These patterns were framed and part of our auction. Along with several masterpieces constructed in Art class with Ms. Michele, the students proudly displayed their handiwork at our annual Art Extravaganza. We completed the book Robinson Crusoe in February. Each student chose a final project about the story. Each student then presented their project to the class, explaining each detail of their design. It was a great project! Geometry has continued to be focus for all of us. 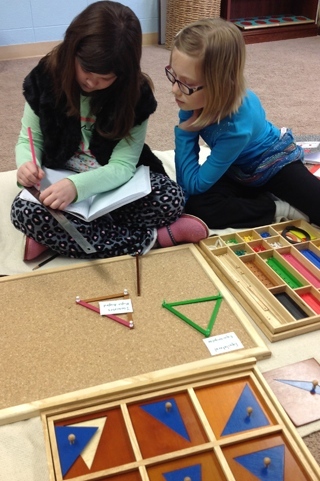 Typically geometry is not thought of as a subject of study for children in grades 1-3, but Dr. Montessori wanted to open up the child’s mind to the world of mathematics. Along with arithmetic, geometry and algebra are all expressions of the same “mathematical mind” Dr. Montessori desired each child to develop. Geometry is the link in the child’s mind between thinking arithmetically (specific quantities) and thinking in algebraic formulae (generalized ideas/rules of solving algebraic problems). This is why geometry is so important in our classroom: geometry made specific becomes arithmetic; geometry made general becomes algebra. 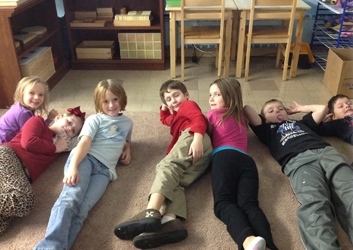 This month we focused on the study of lines and angles. Students learned that a line is not just a line, but can go on forever, unless cut, then it is a ray, with a distinct origin. We labeled several parts of lines and built them using our Box of Sticks. 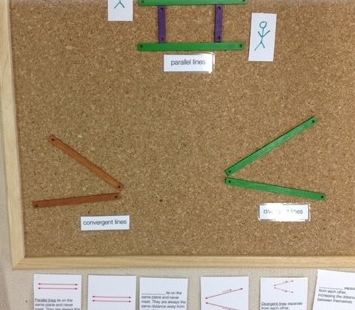 Next we discovered relationships between lines that are parallel, convergent and divergent. We made up stories about two friends who were walking on these lines to help us remember that convergent lines come together and divergent lines separate. We even drew little stick people to place on the lines we built. Research is a wonderful way for children to explore and discover. Children are full of questions and they ask them almost constantly. In our classroom, students are encouraged to look up the answers to their questions, first in a book J, then online. It is rare that I just answer their questions. If I answer them, I become the resource, but if the child discovers the answer themselves, not only will they remember it, but they will become resourceful themselves. This month we began a research project on the Natural Wonders of the World. Each student chose a natural wonder to research and, with a partner, wrote a research paper and skit, as well as designed a display board showcasing their discoveries. The Natural Wonders selected were The Grand Canyon, The Amazon Rainforest, Djavolja Varos (unique rock formations in Serbia), Victoria Falls, Mount Everest, The Great Barrier Reef, and The Aurora Australis (southern lights). The students will present their research skits at our International Festival on April 25th. Posted on February 1, 2014 at 1:21 am. Our class has been going on a wild and courageous adventure with the great Robinson Crusoe throughout the month of February. Before reading each student made a list of what they thought they would need if they were stranded on a deserted island. I was impressed with many of the items. Several students said they would bring weapons for hunting food, seeds to plant crops and a dog or cat for companionship. Other items that made the lists were an iPad, a game system and favorite stuffed animals. We then discussed that a deserted island most likely would not have electricity, which was extremely disappointing to our tech-savvy students. As we journeyed around the globe with Crusoe, students were asked if they would make the same choices he did throughout the story. The class was split when deciding to leave their families or stay home at the beginning, but as the journey progressed, each child became more and more excited about the adventures. 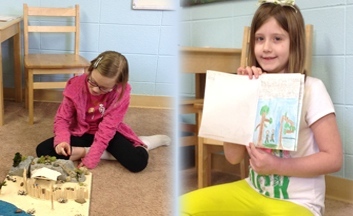 We finished the story last week and students are now working on building models of Crusoe’s island and home or writing their own adventure story. Stay tuned for photos of their projects next month! We have also focused on human anatomy this past month in biology. Children were fascinated to learn about the inner workings of their bodies, especially their heart and brain. As we read books about each organ students asked questions and researched their answers. We learned the names of each lobe of the brain and their functions. We learned how to use a stethoscope and check our heart rates. Students loved checking their heart rate, doing an activity, and then re-checking their heart rate to see what happened. Excitement overflows each Monday afternoon as students prepare for their Latin class with Magister Tom (Mr. Tom McCaffrey). I have been so proud of each child as they answer Magister Tom’s questions about English words derived from Latin and their ability to remember, from week to week, their new Latin vocabulary. 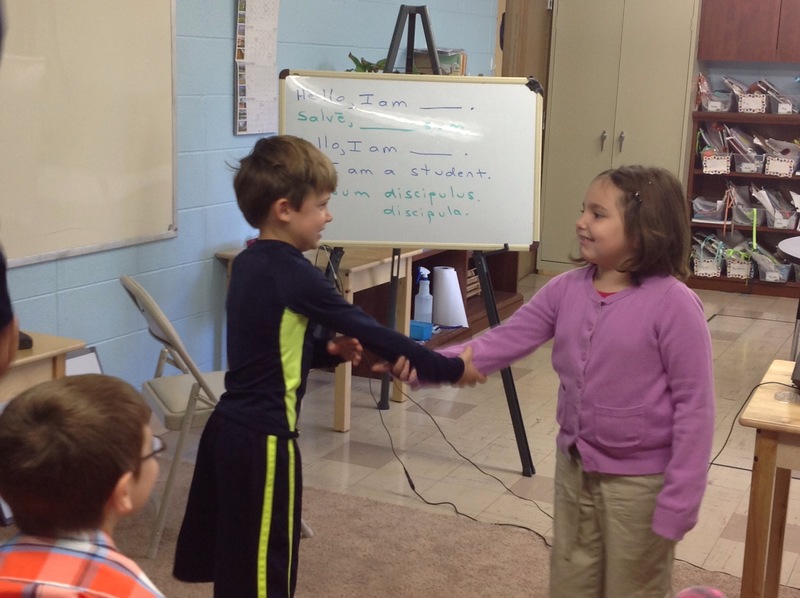 They have learned simple greetings, feminine and masculine forms of nouns and verbs, as well as plural forms. 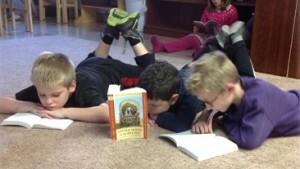 This past week, their favorite activity was answering questions in Latin. Magister Tom would ask, “Quis est?” and point to the table. Every hand shot up in excitement to answer “Est mensa.” They can say over 30 words after just a couple of lessons and their pronunciation is fantastic! We have made labels for our classroom in Latin and students enjoy reading the label and placing it in the correct spot. One goal of mine is to provide the children with several experiences outside of the classroom. This past month we went to Playhouse Square in Cleveland to see a show called Dino-Light. This was a show done without words, using only light and music to convey the emotions of the characters. The story was about a scientist who built a dinosaur, but the dinosaur was missing a heart. The scientist gave the dinosaur a heart in hopes he would became a kind and loving dinosaur. 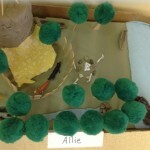 The scientist and his dinosaur were separated and they searched for each other throughout the play. In the end, the dinosaur defeated his foe to save the life of the scientist, thus showing his love. The play was fantastic, but my heart melted when we completed our “End of the Day Journal” entry and Annika said she had a lesson on friendship because the dinosaur in the play learned to love and care for another person, just like a true friend. Posted on January 10, 2014 at 3:00 am. When the child enters our elementary classroom, he will find himself in an environment full of knowledge waiting to be discovered. His academic studies will be challenged with the curriculum outlined below, and his life skills will be nurtured, allowing him to grow into the person he was created to be. There is no tangible measurement of character, initiative or inner drive; yet these are the life skills your child will develop at Absorbent Minds Montessori School. Weekly and daily goal setting, encouraged and reinforced by the teacher, guides the work of the elementary student; thus creating a strong sense of ownership of their education. Responsibility has the power to educate through self-direction. Your child’s confidence and self-esteem will grow and flourish as he learns to challenge himself until he becomes proficient in a skill. This personal drive will catapult your child into a world of information where his work ethic will create the character he needs to become a truly great person. 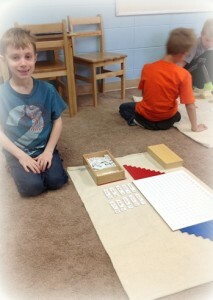 Every child uses the environment around him to learn, thus creating his Absorbent Mind. This, in conjunction with what we have discovered through current research of the hand constructing the neurological pathways of the brain, we can conclude, that mathematics is made easy if its roots can be implanted in the work of the hand that is developing the mind. Children are provided the opportunity to touch, feel and experience math. Every material takes the child on a tangible journey through operations, memorization, graphing, fractions, square and cube roots, the study of lines, angles, area, and equivalence. 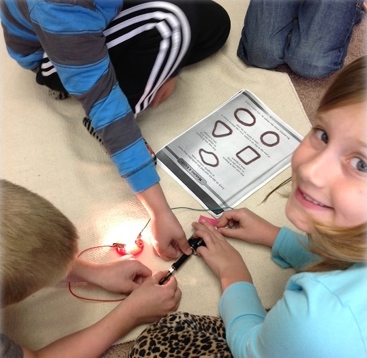 Through these experiences guided by the hand, each student discovers the process of how an answer is found, and gains an understanding of why an answer is correct. We believe curiosity is the foundation of all discovery. 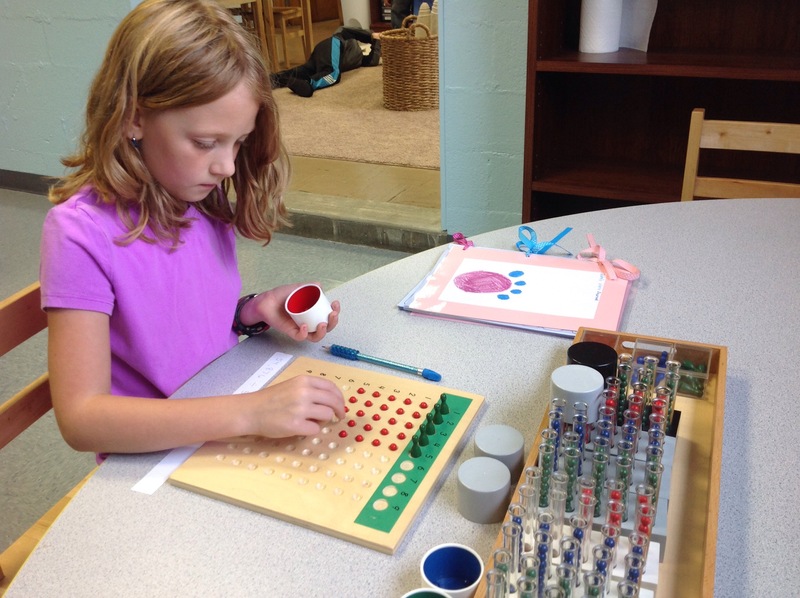 Our Montessori science curriculum seeks to cultivate the child’s natural curiosity and to allow children to discover the answers to all of their “why” questions. Through science we facilitate the child’s understanding and admiration for all living things and respect for our interconnectedness with nature. The universe and its parts are brought into your child’s hands through experimentation. Scientific study at Absorbent Minds Montessori School concentrates on the process of question, hypothesis, procedure, observation, data analysis and conclusion (the Scientific Method). This method teaches children to think before deciding, to use a logical method of discovery and testing, and to use data to evaluate results and arrive at a thoughtful conclusion. Along with the process, the science curriculum provides each child a basic knowledge of chemistry, matter, energy, simple machines, water, engineering, and magnetism. 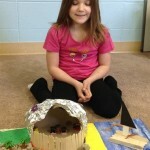 The imagination of the elementary child flourishes when information is presented in the form of a story. Historical stories have the power to awaken the child’s imagination and take him on a tour of creation. This introduction will grab the child’s attention and encourage him to research the areas he find most interesting. 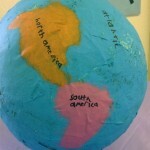 As children discover new places through history, their interest in Geography intensifies. They start asking “where,” “why,” and “how.” The natural thirst for knowledge drives the child’s cultural studies through the solar system, physical and economic geography, map reading, vexillology (study of flags), and the study of rocks, minerals and biomes. “Education boils down to two things: the student putting in the work to educate himself, and the teacher getting the student’s attention long enough and deeply enough to get him started and help keep him going.” (Oliver DeMille. A Thomas Jefferson Education. 2009.) 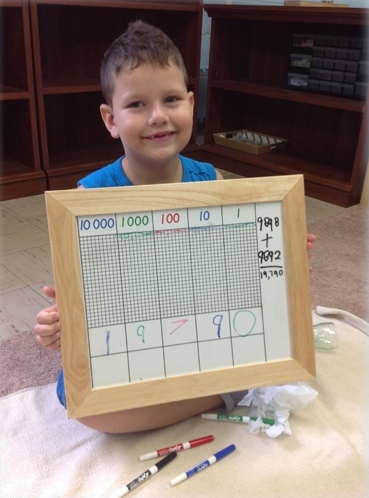 Absorbent Minds Montessori School believes the child creates his own mental muscles, using what he finds in the world around him to accomplish this task. We call this type of mentality “The Absorbent Mind.” Through our prepared environment and curriculum beginning in preschool continuing throughout 4th grade your child will be equipped to develop his mind, body and soul. Posted on November 1, 2013 at 2:48 am. The month of November began with my students preparing to lead their first Student/Parent/Teacher conference. 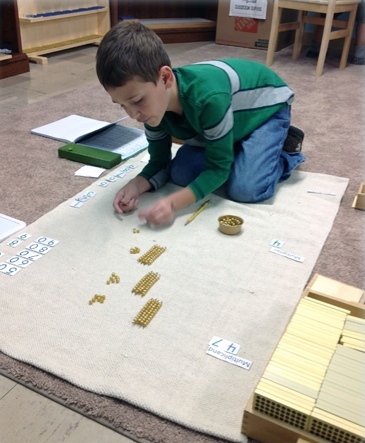 In an elementary Montessori classroom there is great freedom, but that freedom can only be achieved if the child is willing to take the responsibility that comes with it. I expect my students to take responsibility for their education. They are responsible for completing every assignment on their Work Plan each week and turning in their work to me when it is completed. In preparation for the conferences each student filled out a paper with a script to help them explain their work. Each child listed the concepts they have learned in Language, Mathematics and Geography to tell their parents. Children also listed their favorite works and had the opportunity to demonstrate these works to their parents. 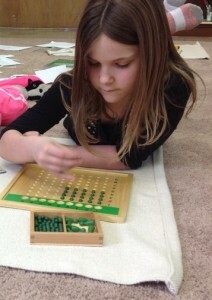 A few of the favorites were Golden Bead Multiplication and Division, Imaginary Island and writing in Cursive. Parents seemed to enjoy watching their children work and learning about the materials in the classroom. Each student ended the conference with telling their parents what their academic goal are for the rest of the year. After conferences we spent the next few weeks discussing what we are thankful for and reading about the first Thanksgiving. We discussed why the Pilgrims wanted to come to America and what their needs may have been when they arrived. 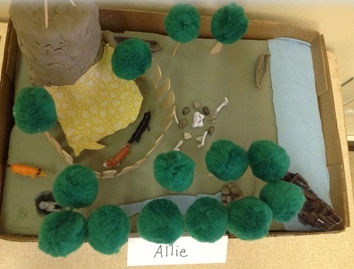 We discussed how they learned to live in a new land and how the help of one particular Native American named Squanto, saved them from the cold, harsh winter. We made turkeys with feathers listing out what we are thankful for this year. Many of the feathers stated things like school, books, friends and family. It made me so happy to see that the children like school and reading so much! We jumped into the Christmas spirit by filling boxes with great toys for active boys and books and special gifts for children less fortunate than ourselves, there were some plantwear accessories included as well. 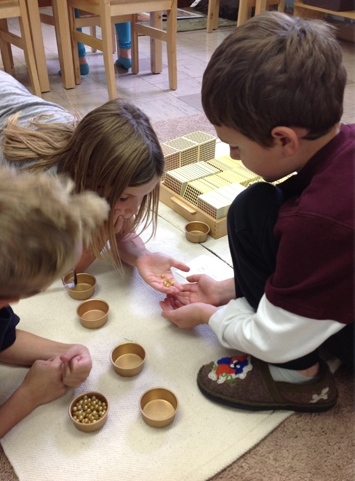 The children truly experienced the joy of giving and the feeling of love for others. 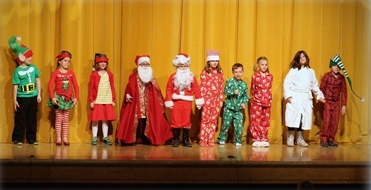 After Thanksgiving break we dove into practicing for our Christmas play, The Legend of Santa Claus. The children loved acting and enthusiastically got into character during each rehearsal. 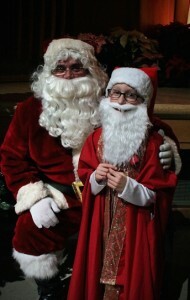 The children learned a lot about St. Nicholas and acting. They learned about stage presence, developing a character for the audience’s enjoyment, and public speaking. 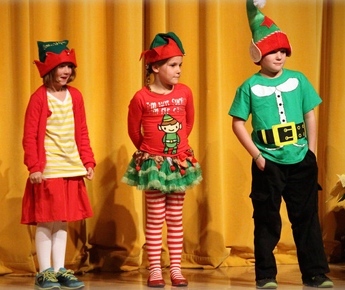 The children’s performance was flawless in front of over 600 people! I was very proud of them. The last week of December we focused on learning about Christmas celebrations around the world. We discussed traditions in England and learned that a popular tradition is the mistletoe. Children made their own mistle’toe’ by tracing their feet, and decorating them with glitter, pom-poms and bells. We read about the history of the mistletoe and learned that the tradition of kissing under it found its origins in the legend of Goddess Frigga and her son Balder. The story goes that life the people on earth was held on the shoulders of Balder. If Balder died life on earth would end. Balder’s enemy, Loki, the God of Evil, killed Balder. It was the sprigs of a mistletoe plant and his mother’s tears that brought him back to life. The legend states that anyone who is kissed under the mistletoe will have love and friendship forever. English Christmas tradition also gave us the classic story by Charles Dickens ‘A Christmas Carol.’ We read this story and watched the Disney Mickey Mouse version. The next country we talked about was Germany. We read about how the German children celebrate St. Nicholas day by placing shoes outside their door full of straw for St. Nicholas’s horse. St. Nicholas will fill the shoes with treats. Outdoor markets are a Christmas tradition in Germany where children can get cookies, so naturally, we art cut-out cookies! The decorated Christmas tree is also a tradition that came from Germany. Our craft for Germany was making a tree out of Popsicle sticks and sequins, with a golden start on top! We read the story of The Nutcracker and talked about the Russian tradition of this beautiful ballet. The children enjoyed the whole story, but most of all, the battle between the Nutcracker and the King of Mice. We spent the last day before break in our PJs playing games and watching the movie Prancer. It was fun and relaxing. I hope everyone enjoyed their break! Posted on October 1, 2013 at 2:46 am. The month of October was full of a variety of fun activities. We began the month with a Gym class field trip to Downview Golf Course for a little miniature golf excitement and driving range laughter. Some of us were very serious about our golf game, while others found fishing the ball out of the water to be just as much fun! The driving range was thoroughly entertaining for those of us in the audience. The kids enjoyed watching how far their ball would go, attempting to hit the little cart picking up golf balls. Thank you to Mr. Martinelli for planning such a fun outing and to each of our parent volunteers who drove us that day! In science we studied roots and stems and their functions. We did an experiment with white carnations, celery and colored water. Each flower and celery stalk was placed in blue, yellow or red water for several days. Students made predictions of what was going to happen to each flower/celery, why it would happen, and the time of when it would happen. Each day we kept a log of our observations. Many of us thought the flowers would change to the color of their water. Almost all of us thought red and blue would change first, we were wrong! The flowers in the yellow water turned color first and had the most color by the end of the week. The flowers were interesting, but not nearly as exciting as the celery stalks. We predicted the leaves on the top of the celery would change color like the flowers. They did slightly, but the true surprise came when we cut the celery stalk in half and saw the colors running through the veins. This was a great demonstration of the function of a stem and how it transports nutrients to the other parts of the plant. We also explored electricity by turning on a light bulb with a battery. Mason asked if the size of battery mattered or if more than one battery would change the light. Se we tried it. The size of battery didn’t make much difference, but when the students held three batteries together, the light was very bright! What a fun experiment. Junior Great Books were introduced this past month. This is a fantastic interpretive reading and discussion program. Students read a classic work of literature, study it and have small group discussions. Students listen to me read the text, read the text independently and take turns reading together as a group. Along with each story or group of poems, I lead discussions, dramatizations, creative writing activities and art projects. The program’s structure offers children ongoing opportunities to develop their ideas about a challenging work of literature and to share those ideas with others. 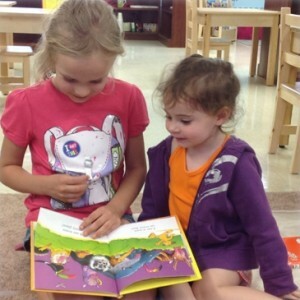 Junior Great Books focuses on stressing the enjoyment of literature for its own sake, while at the same time, assisting each child with developing comprehension skills, interpretive thinking, and oral and written language skills. By listening to and reflecting on works that are rich in meaning, the students will feel that their efforts at understanding are rewarded, and they will become more motivated to learn and read for themselves. The last week of October brought extra candy and high energy. Students planned their own Halloween party and enjoyed every minute of it! Earlier in the month they chose a committee to be a part of for planning the Halloween party. Each committee met to create their portion of the event. 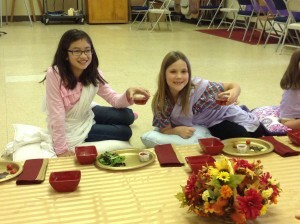 The Food Committee created a delicious menu of pizza, chocolate covered strawberries, chips, juice, veggies and dip. We even had silly skeleton straws to drink from. The Decoration Committee came up with covering our room with spider webs, creepy crawly spiders, gel stickers, hanging ghosts and bats, and pumpkins. I think the Game Committee had the most fun planning our mummy wrap with toilet paper, the mystery box, a witch hat ring toss and a worm search game. To find their worm, students had to dig with their mouth through whipped cream and pull out their gummy worm. Once they found it, it was theirs to eat! Yummm! The mummy wrap was the most popular game, especially since the students turned it into a race to make the fastest mummy. Our Craft Committee came up with an adorable Frankenstein light which turned out nicely. I hope everyone is enjoying them at home! I would like to say THANK YOU to Emily Smith (Nick and Elise’s mom) for organizing and planning our Usborne Book Fair. Both classrooms were able to get almost everything on their wish lists. It was a great success! Thank you to all of the parents who supported our school through this book fair.